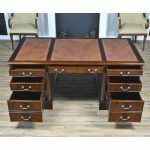 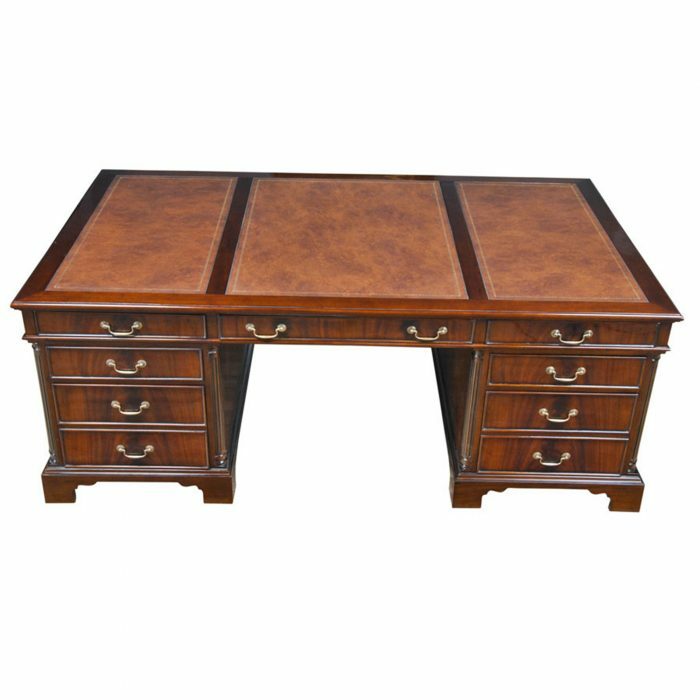 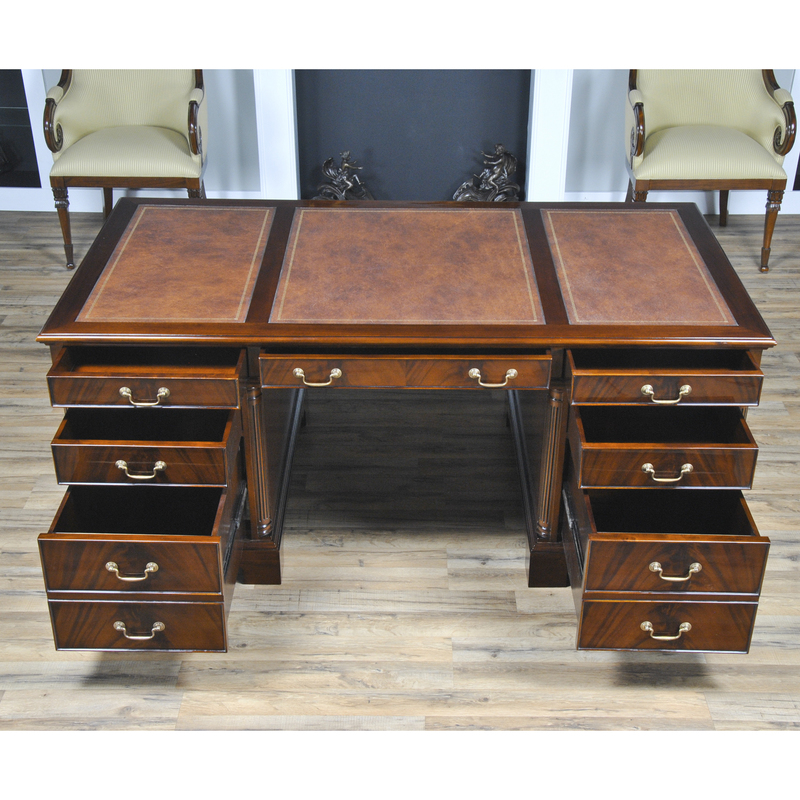 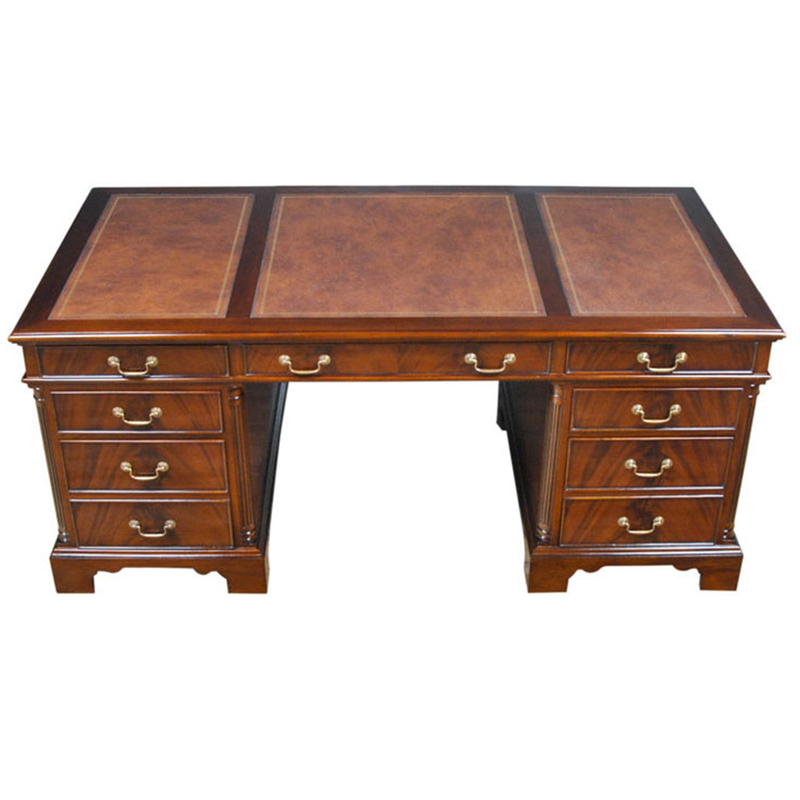 Equally suited for use either at the workplace or in a home office the Niagara Furniture Large Mahogany Executive Desk with tooled leather top is both decorative and functional. 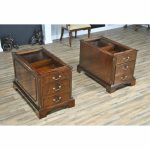 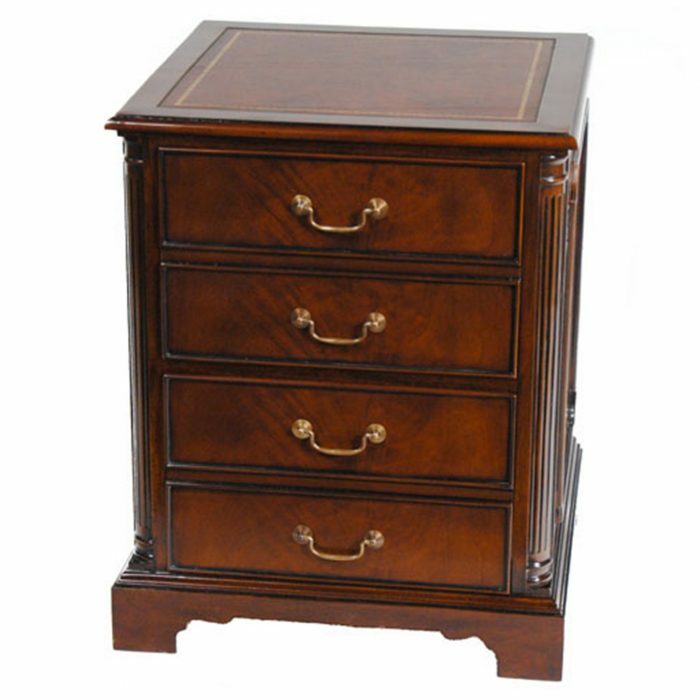 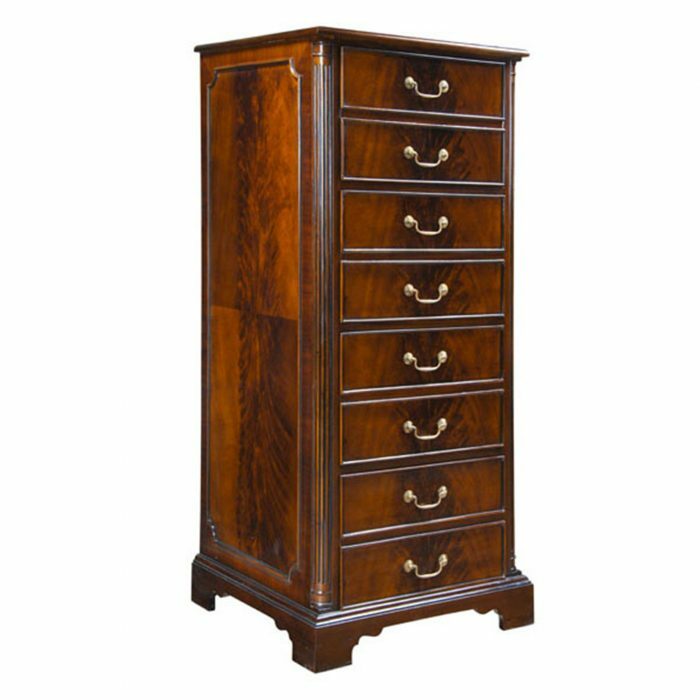 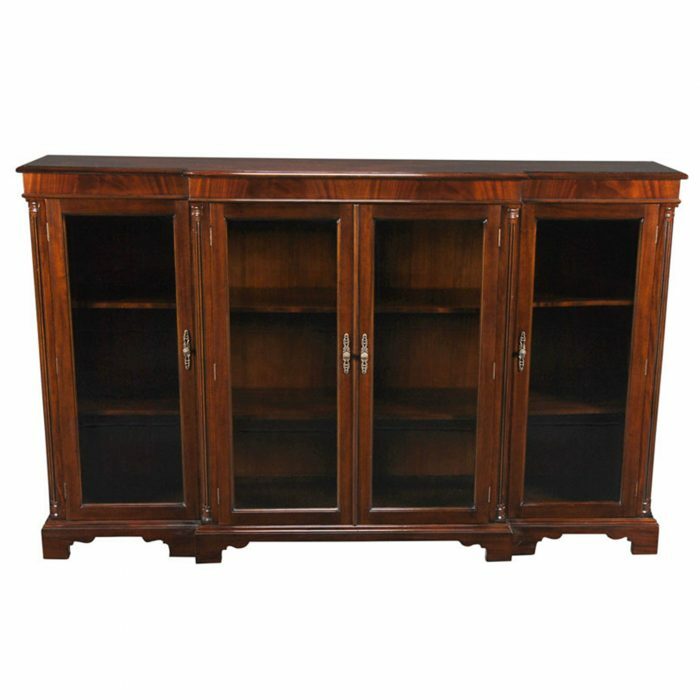 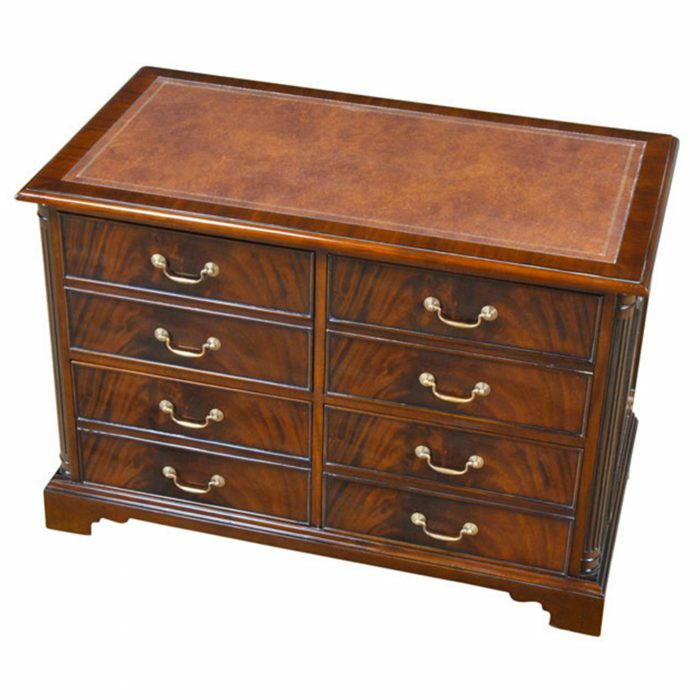 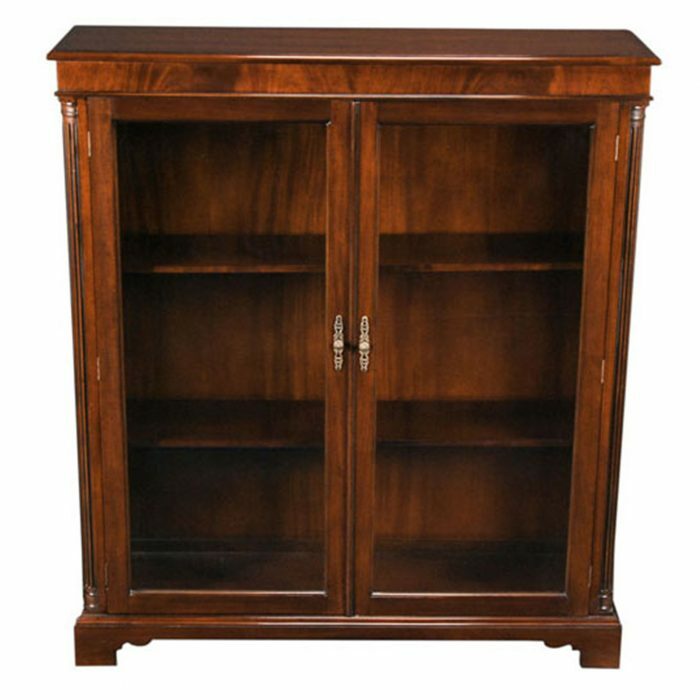 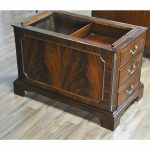 Built in three sections for easy handling and installation the top section has three deep drawers under a solid mahogany top frame inset with hand tooled genuine full grain leather of the finest quality. 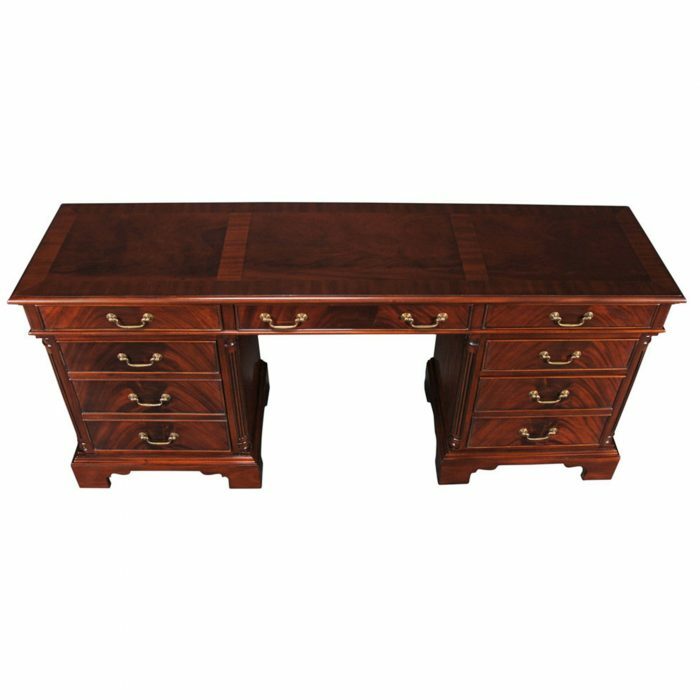 The left pedestal bank of the users side of the desk contains both a regular drawer as well two faux drawers which are supported on metal slides and is actually a hanging file drawer. 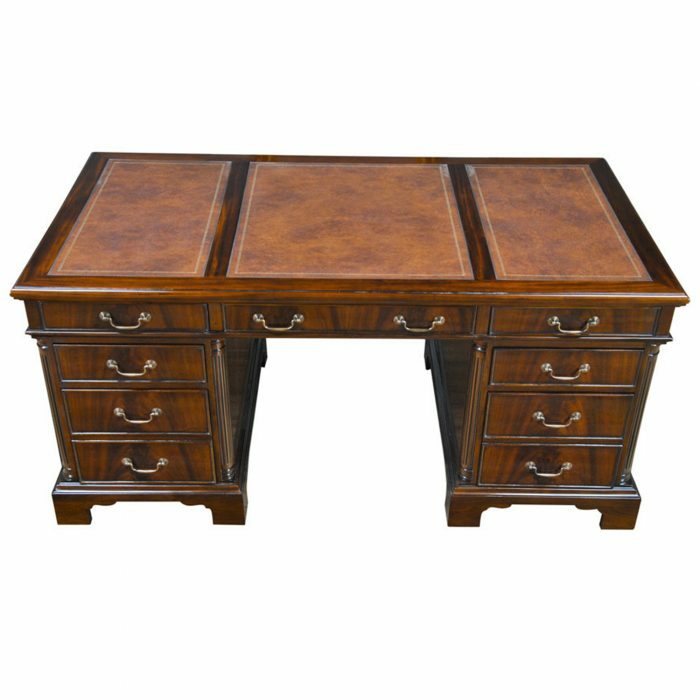 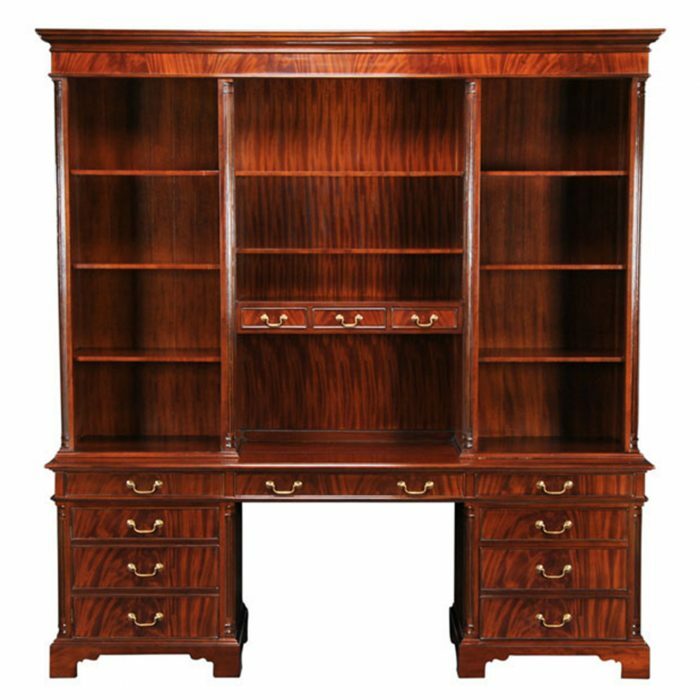 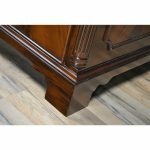 The visitor side of the desk boasts great quality mahogany veneered panels separated from the rest of the panel by a molded wooden frame and all are supported and surrounded by reeded and turned quarter columns of solid mahogany. 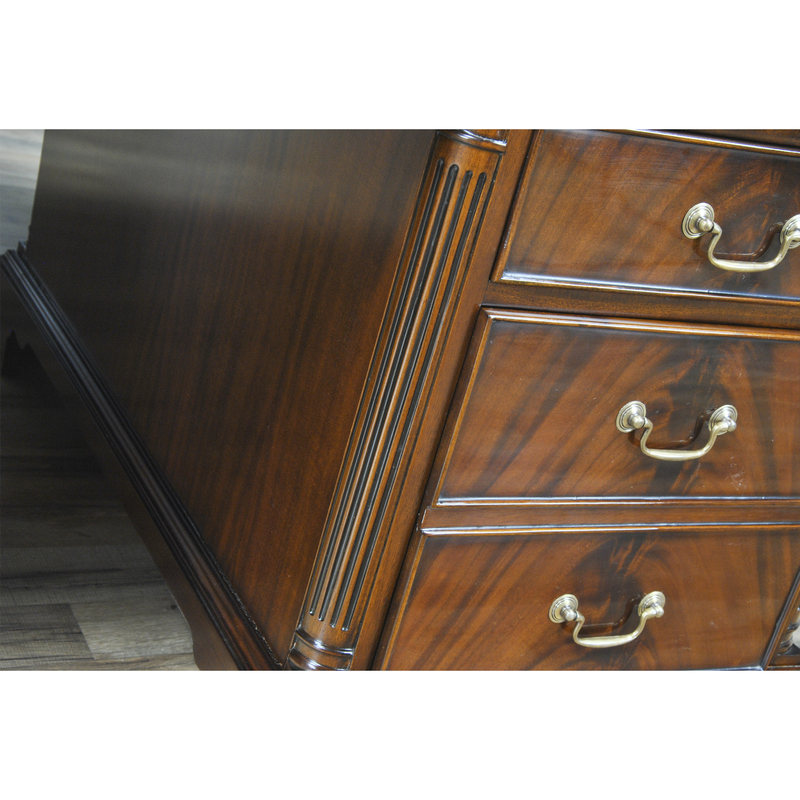 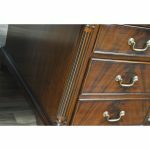 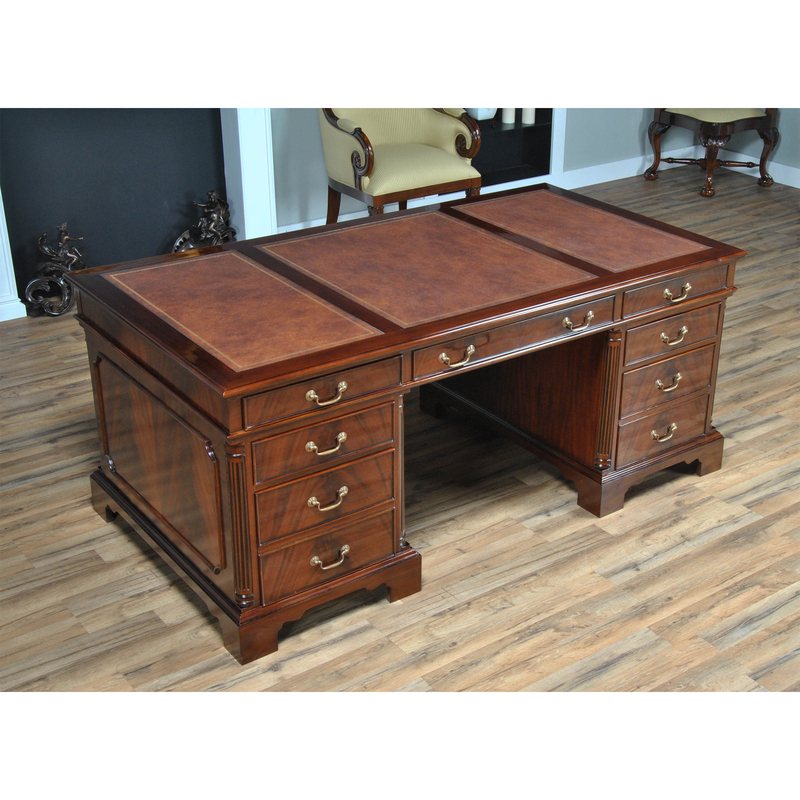 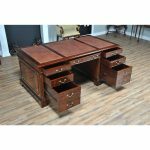 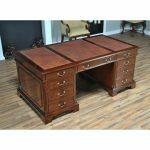 Closely related to many of our other Niagara Furniture Office items this Large Mahogany Executive Desk can either be purchased alone or with enough matching items to furnish an entire room. 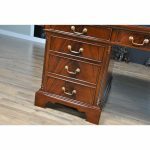 Kneehole is approximately 27.5 inches wide and 25 inches high.